The westernmost city on Puget Sound is located on the Olympic Peninsula and is the largest and only incorporated city in Mason County, home to the Hood Canal along with more than 50 lakes, as well as the narrow waterway of Hammersly Inlet which links the Port of Shelton to Olympia, Tacoma and points beyond, resulting in an abundance of Shelton waterfront real estate to choose from. A small creek that winds through Shelton’s core, characterized by World War 1 era stone and brick architecture, offers the chance to observe the migrating salmon during spawning time, late summer through early fall, as they traverse the waterway to make their journey home. 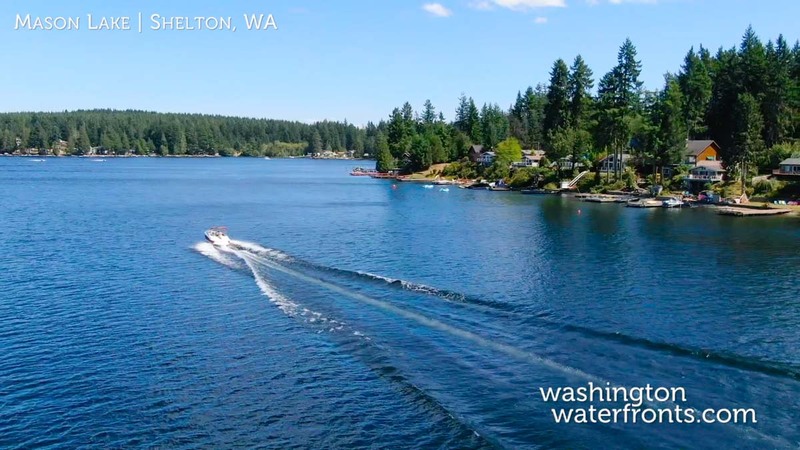 Shelton waterfront real estate owners can look forward to a wide array of outdoor activities in this historic logging community with miles of saltwater and freshwater for fishing and boating, as well as multiple parks for harvesting shellfish. With the Olympic National Forest and Park nearby, there are endless trails for hiking the land, along with a number of popular annual events to attend like OysterFest and the Old Time Fiddler’s Fest. Potential Shelton waterfront real estate buyers will find a diverse range of homes to choose from, often at great values, thanks to its close proximity to the shores of Puget Sound, countless lakes, and properties on Harstene Island, which is also within Shelton’s boundaries. No matter what type of waterfront property you’re looking for in Shelton, the odds of scoring a great find are good, with everything from estates on picturesque Lost Lake that include 100 feet of waterfront, a large deck, water slide and solar-powered boat lift to more modest homes with beach access and undisturbed forest land as well as budget-friendly off-the-grid, self-sufficient homes that provide the perfect back-to-nature retreat. Take advantage of our industry-leading tools to make your property search as easy as possible and be sure to register for a FREE account so that you can receive email alerts whenever new Shelton waterfront real estate for sale hits the market. If you're seeking to sell your Shelton waterfront property, contact our Waterfront Specialists directly for a comprehensive listing analysis and to learn more about the cutting-edge marketing strategies we'll use to sell your home quickly for top dollar!